Scala, Inc. and its partners were recognized by the Daily DOOH for excellence in Digital Signage at the Daily DOOH Gala Awards hosted in London last week. Scala Certified Partner Telecine received an award for Best Office Building/Corporate Install for the Bloomberg Link Display. The Scala powered “Two Towers West” installation in London also brought home a “Reggie” for best original billboard. The Link Display is an architectural focal point in Bloomberg’s global headquarters in New York. It seamlessly integrates with the architecture and is located in the central artery of the building where visitors and employees meet and congregate. Using Scala, the Link showcases Bloomberg’s real-time financial data in bold and innovative ways, featuring dynamic “shows” including Currency, Market Indices, Weather and News. The Link has become an icon for the Bloomberg brand and is seen daily on Bloomberg Television. View a video of the Link in action. The Two Towers West install, which is run by Ocean Outdoor, is an impressive ‘digital gateway’ into the city, located on the A4 just outside of London. The massive towers are in a prime location that targets a mass audience of commuters entering London each day. “The Two Towers West install is one of the most visible Scala powered installations on the globe, their impressive aesthetic features and synced content, along with their placement on the A4 allow them to be an extremely effective advertising platform,” says Harry Horn, Vice President Marketing, Scala,Inc. Former Scala CEO Gerard Bucas was awarded the Digital Signage Lifetime Achievement award. Accepted by Scala CEO Tom Nix on behalf of Mr. Bucas, the award was given to the individual who the judging committee believes has done the most to further the digital signage industry. Gerard Bucas retired as Scala’s longest serving CEO in October, 2011. During his time at Scala, Mr. Bucas successfully shaped and established Scala as a market leader and top innovator in Digital Signage. “Although I am retiring… ‘leisure’ is not my strong suit… so I am sure I will find one or more new challenges/ventures to dig my teeth into… you can be sure it will be global as that is what I do best,” said Mr. Bucas in a previous interview. Three other Scala powered installations were nominated for Daily DOOH Gala Awards: Christie’s London Stock Exchange, Tank and Rast(run by ISS and SEEN MEDIA), andWestfield Shopping Mall (deployed by Esprit Digital). 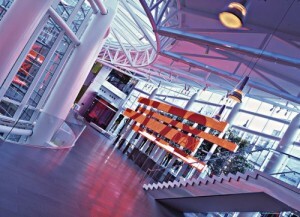 To find out more, case studies of each installation can be found at https://scala.com/case-studies.